CHART 97 T3: Training Competencies Conference will be held March 2-5, 2019 at the Hyatt Regency in Albuquerque, NM. CHART 98 Hospitality Training Conference will be held July 29-30, 2019 at the Marriott Vanderbilt in Nashville, TN. Each winter, CHART's T3: Training Competencies Conference showcases the competencies necessary for hospitality trainers to build their skills and do their jobs even better. In additional to inspiring general session keynotes and a Resource Gallery vendor exposition, competency certificate workshops are separated into four tracks that cover the major roles in hospitality training: Executive, Manager, Trainer, and Instructional Designer. Those who complete workshops and tracks gain immediate recognition for their achievement through certificates and pins. Every summer, CHART's Hospitality Training Conference features current trends, best practices, and practical ideas that trainers can take back and implement immediately in their organizations. This conference helps develop training leaders by providing a vision for how they can be better learning strategists, business partners, and culture cultivators. Top trainers attend each year to gain insight from thought-leaders and to celebrate developing people at CHART's annual Commitment to People awards and scholarships gala. In addition to the learning sessions, CHART conferences incorporate a community service event, where attendees can work side by side to give back to the host community. Visit www.chart.org for further details on the upcoming 2010 conferences or to view photos or videos from past conferences. 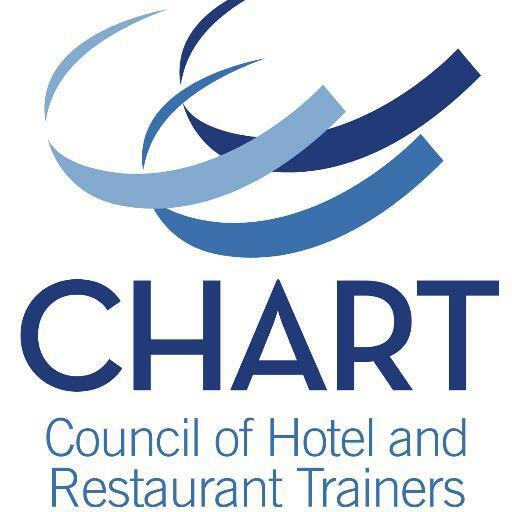 CHART (www.chart.org), a non-profit professional association founded in 1970, is the leading resource for the development and advancement of hospitality training professional and their organizations. With more than 500 members from more than 300 multi-unit restaurant and hotel companies, CHART represents a workforce of almost three million. CHART includes all facets of hospitality training, learning, and performance professionals; from entry level to senior executive. CHART’s mission is to develop hospitality training professionals to improve performance through access to networks, education, and resources. Follow CHART on Twitter at @CHARTtrainers.